Hello and HAPPY PRIDE MONTH everyone! 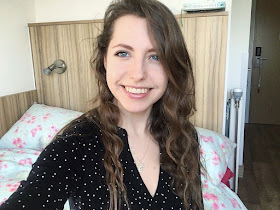 I've already written up a handful of blogposts which I feel very organised and bloggerish about (shoutout to the lovely Abbey for telling me how to schedule properly a while back) and I have a couple more ideas which I'm hoping to form into posts soon- especially as one of them involves a trip to The Hummingbird Bakery... But enough about the rest of the month, todays post as you might have guessed from the title is all about pride playlists! More specifically the pride playlist I'm about to share with you. Confession time: I actually have four queer themed playlists with various songs and artists and themes but as much as I would love to rave about every single song I don't think you would enjoy reading the mile long post it would turn out to be. So instead I've picked my top six favourite songs that are present on at least one of my pride playlists!! So in no particular order, other than the one I remembered them in, here is my ultimate pride playlist! I Am What I Am from La Cage aux Folles (the musical not the dull as dishwater film on Netflix) was a song that I grew up listening to a lot on my mums musical CD's and I've always loved it and then when I realised it was from a queer musical I just loved it even more; it's about banging your own drum, not caring about small minded people and just being proud of yourself-whoever you might be! She Likes Girls by Metro Station is one that just makes me want to get up and dance around wildly whether I'm in my room or on a train. It's so catchy and SUCH a positive change of music-based attitudes to women let alone to women being interested in each other. It's super catchy and honestly might be one of my favourite songs in general as well as being a favourite queer themed one. Diana Ross's I'm Coming Out is such a JAM and is another one that will always get me wanting to dance around like a twit. It's such a completely feel-good song that whether you're part of the community or not I think it'll still get you smiling and in a good mood. Rude covered by Ana Free & Mia Rose is honestly the prettiest version of any song ever AND they didn't change the pronouns which gave this song a new life as one recognisable by queer people. The song itself was good beforehand but Ana Free's voice is so unbelivably beautiful I think this version is much better! Well it just has to be the Glee version of I Wanna Dance With Somebody by Naya/Santana & Heather/Brittany! Whitneys original is one of my favourite songs ever but with two girls and a pronoun change it's just ever so slightly better. I've linked to a youtube video of each song so if you listen to any of them let me know what you think or tell me your own favourite song (pride themed or not) and I'll give it a listen! I love the idea behind this playlist and will have to check these songs out- after all, there's nothing better than discovering a new artist or song you love!